Microsoft vows for good to never force upgrades on customers after public outrage. WHY MICROSOFT FORCED UPGRADES IN THE FIRST PLACE? 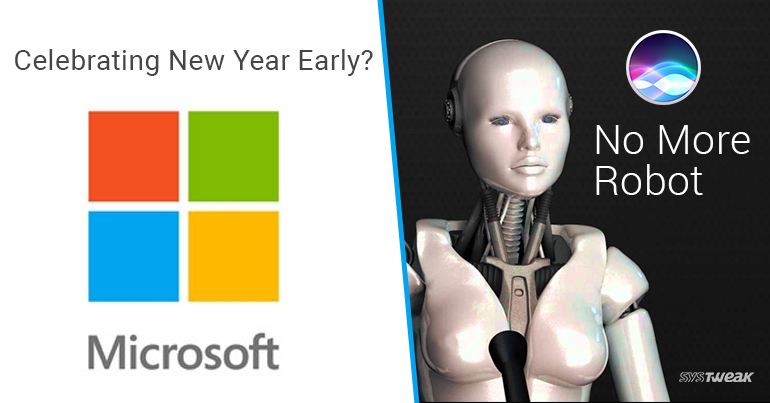 Microsoft releases updates and upgrades every now and then to enhance OS or to fix issues. Most of us procrastinate the downloading and installing of upgrades as we are busy or simply don’t want to get bothered. With the release of Windows 10, Microsoft decided to encourage people to install upgrades by automatically downloading the upgrade so that the users might not miss the features and fixes introduced with the upgrade. However, it turned out to be a disaster. WHAT IS MICROSOFT’S STRATEGY NOW? Almost every user was unhappy with the forced installation of upgrades. It starts with random updates alerts and notifications which led to initiate the upgrade and without even realizing the computers would start automatically downloading the huge Windows 10 update file. Now after seeing the antagonism of this colossal step. Microsoft has come forward and apologized for coercing updates on customers and admitted that it was one of the biggest mistake and it won’t be repeated. IS APOLOGY AN ACT OF SELF DEFENSE? A case in 2016 was launched against Microsoft by German consumer protection agency Verbraucherzentrale Baden-Württemberg. As the lawsuit was filed Microsoft voluntarily apologized and agreed to stop this malpractice of force downloads, which nullified the court ruling. They proclaimed to never engage in background downloading of installation files for OS upgrades. It seems like Microsoft has learned a lesson and will work on improving Windows in future. Apple working hard to make its voice assistant Siri better than ever. Integrates deep learning to make Siri responses more human. Siri is an intelligent digital voice assistant introduced in iPhone 4S in 2011 which uses speech synthesis. Since then it has been an integral part of iPhone. With other voice assistants launched in the market, Apple must have to up their game. So Apple has been working on making Siri sound more like a human. While Apple is all set to launch iOS 11, it released a research paper with explains the usage of deep learning to make Siri sound more like a human. Moreover, Apple has also included voice samples which could make you understand and hear the difference. Developers have to work hard and keep in mind to get the pattern of stress and intonation in a spoken language.However, it is not just getting the prosody right but the main challenge would get it to work on a mobile device as this level of processing impedes the performance of device’s processor. WILL SIRI BECOME THE MOST COMPETENT VOICE ASSISTANT? With the release of the white paper and after learning the details of it, most of us are waiting to get their hands on iOS 11. As with iOS 11, Siri would be more human like and all this was possible due to Deep Learning. Deep learning has been a revolution in the machine learning, which made a big impact in both core algorithms and application areas like speech recognition. With all the improvements introduced, Siri will definitely be more responsive. Apple has worked with a new female voice talent and recorded more than 20 hours of speech in US English. It has generated between 1 and 2 million audio segments that were then used to train the deep learning system. WHEN IS IT GONNA START TO WORK? With the launch of iOS 11, you will be able to experience the faster and better Siri with smooth sentences. It adds more thrill to our excitement to get to know all the cool features added to the new iOS 11.